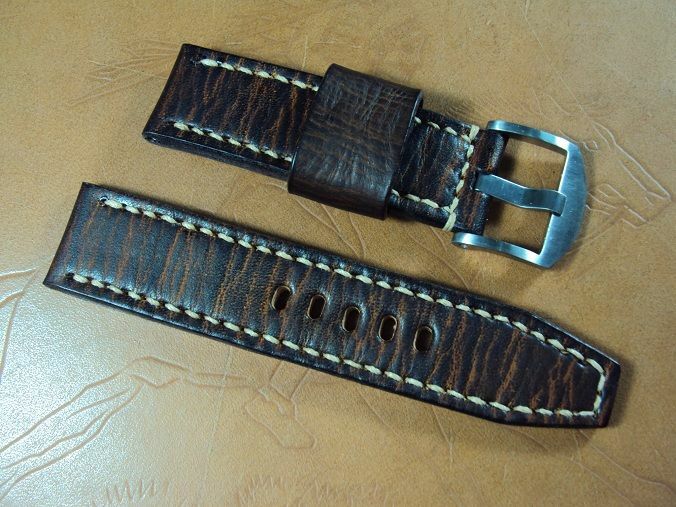 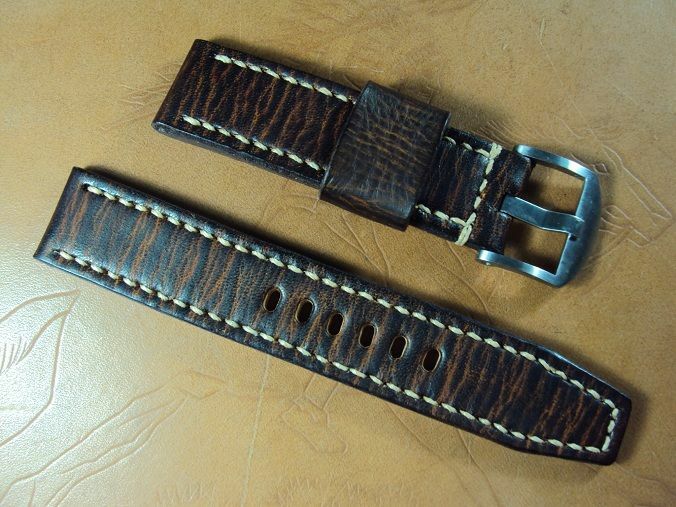 Here are some Panerai custom straps A2165~2174 include heavy padded black crocodile deployant strap which have sold by way of some custom strap orders. 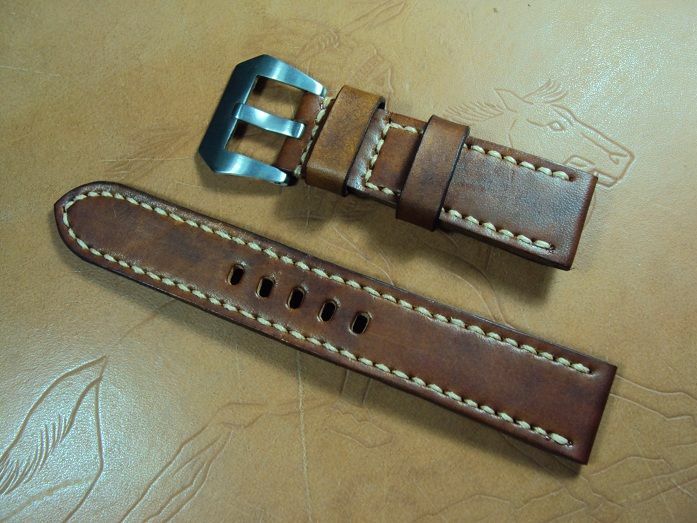 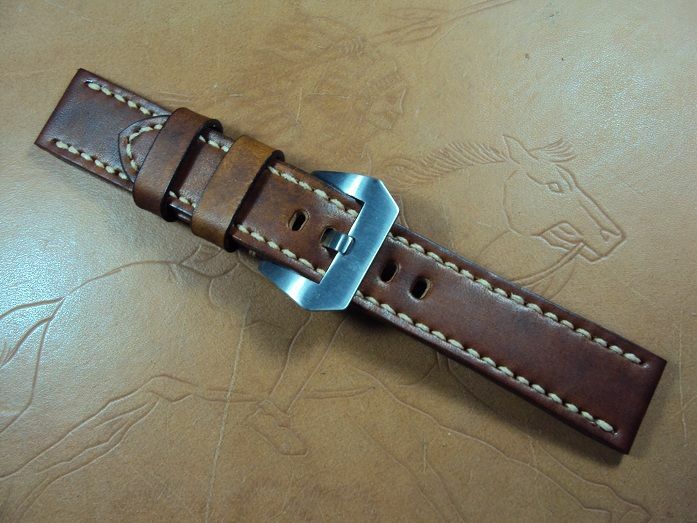 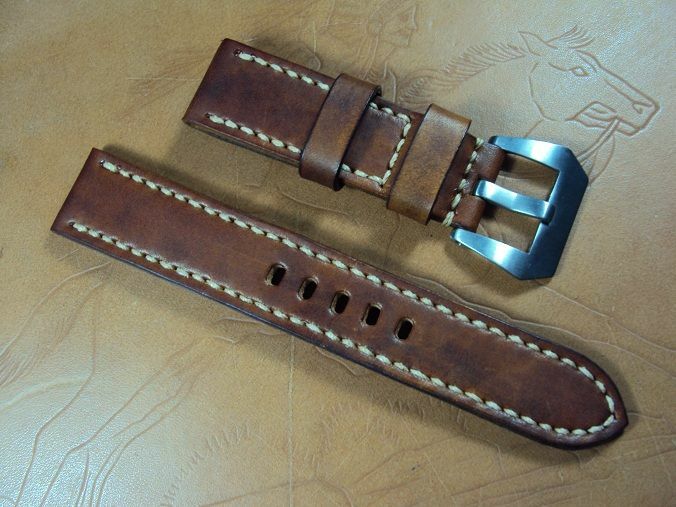 A2165 Panerai honey brown vintage leather strap, 22x20mm, 70x135mm, thick 4.0mm taper to 3.0mm, cream stitch. 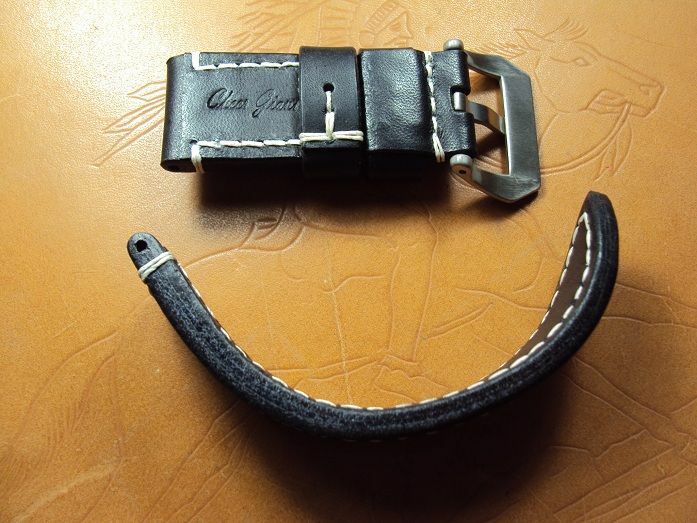 No including the buckle which charges extra $ 15 USD. 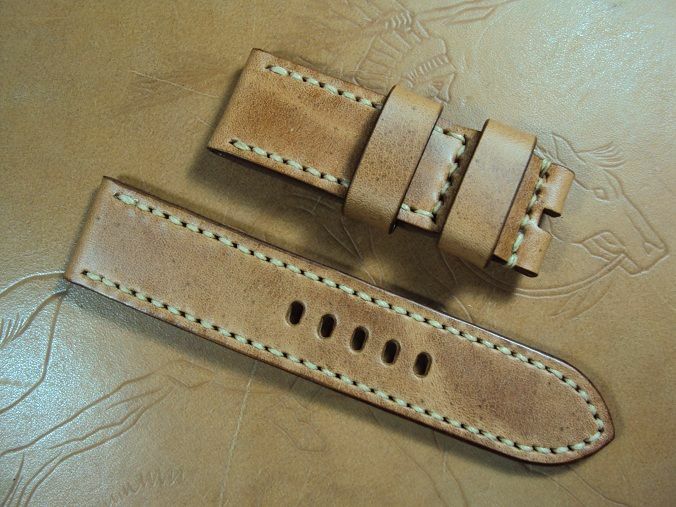 A2166 Panerai tan vintage leather strap, 24x24mm, 75x120mm, thick 4.5mm, cream stitch. 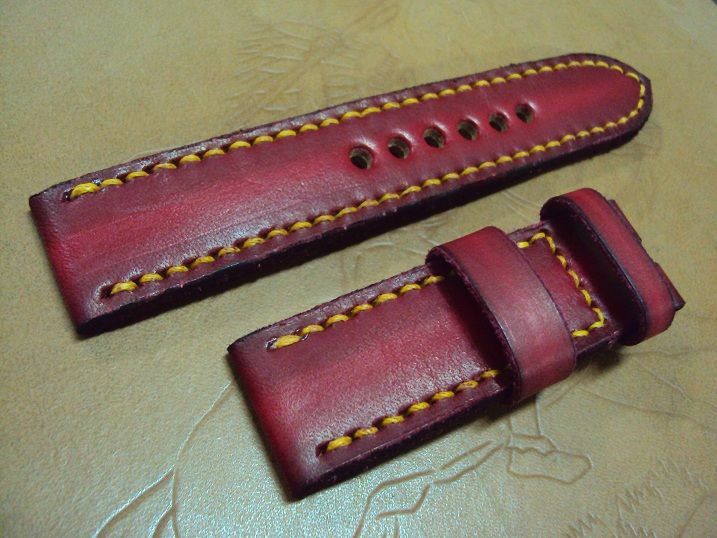 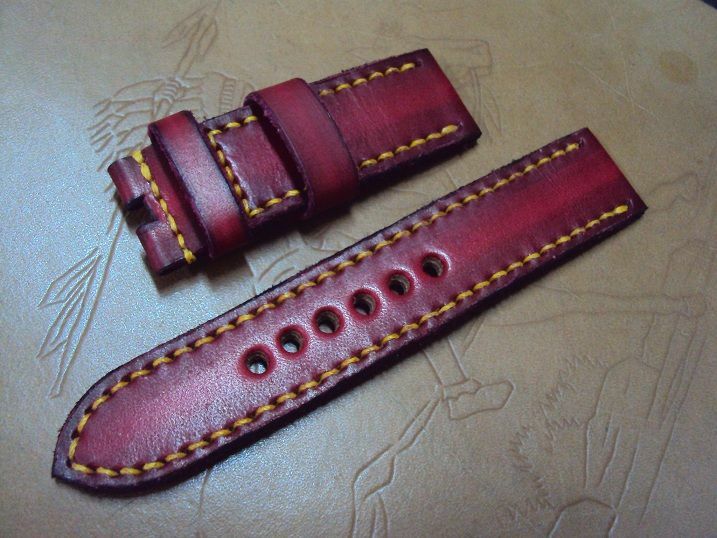 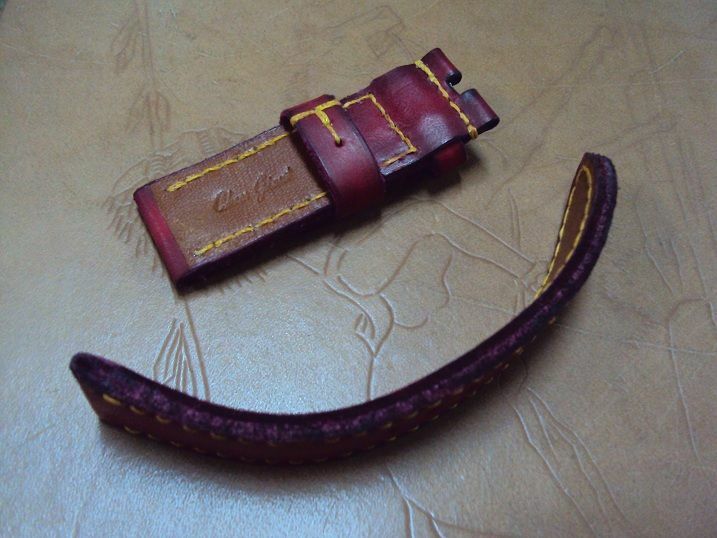 A2167 Panerai ultrasoft red vintage leather watch strap, 24x24mm, 80x135mm, thick 5.0mm, yellow stitch, rough edges. 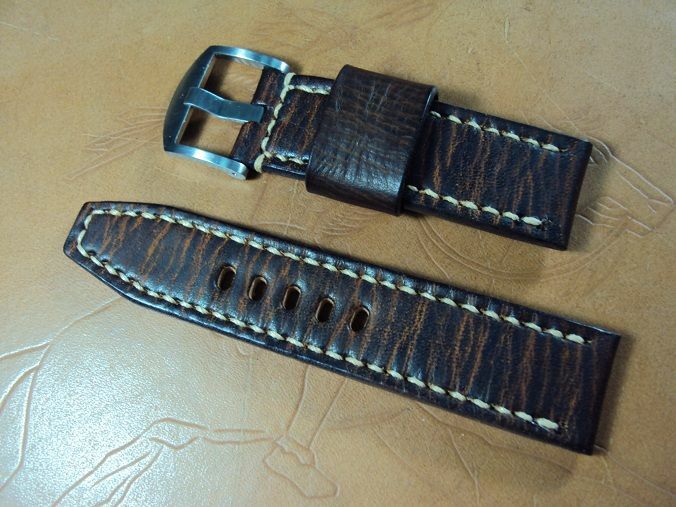 A2168 Panerai ultrasoft dark brown grained leather strap, 22x22mm, 80x130mm, thick 4.5mm taper to 3.5mm, cream stitch. 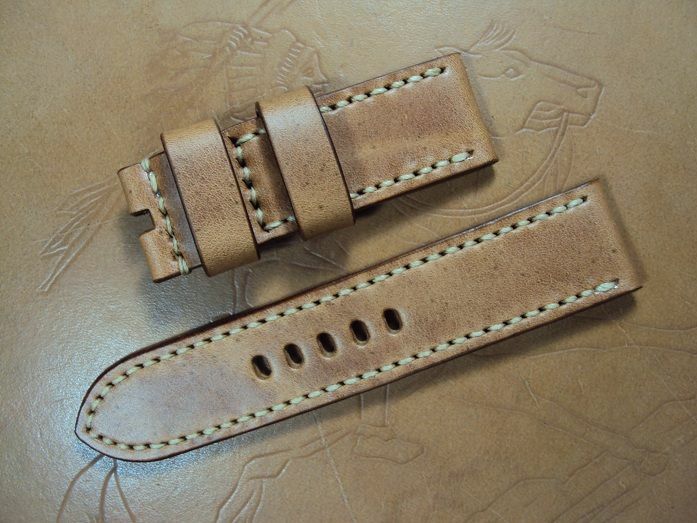 The grained leather strap is priced at $ 120 USD, now charges the promotional price at $ 70 USD including registered airmail worldwide shipping. 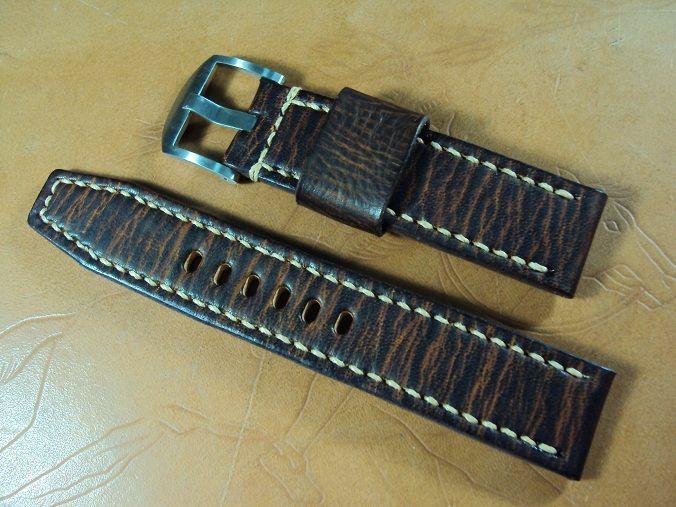 A2169 Panerai ultrasoft dark brown grained leather watch strap, 22x22mm, 70x110mm, thick 4.5mm taper to 3.5mm, cream stitch. 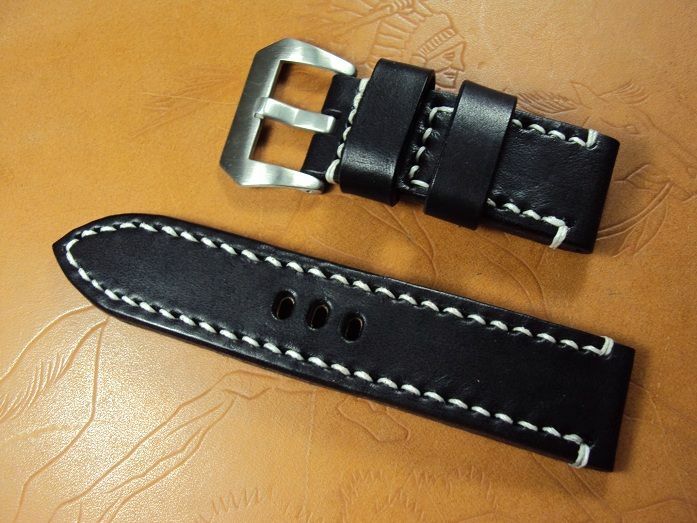 No including the buckle which charges extra $ 20 USD. 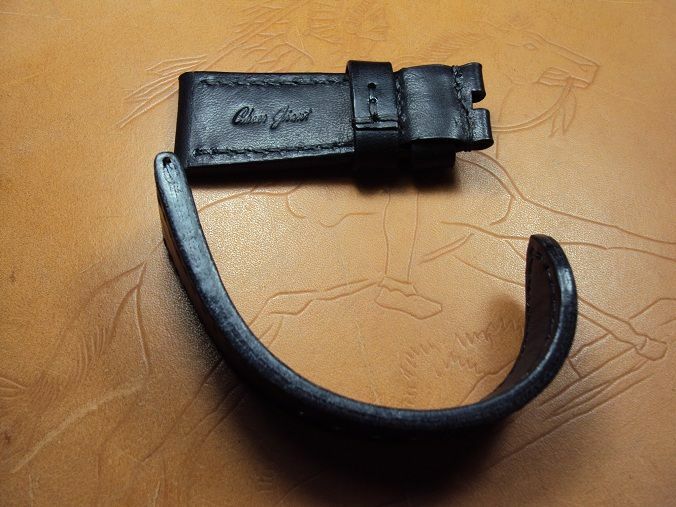 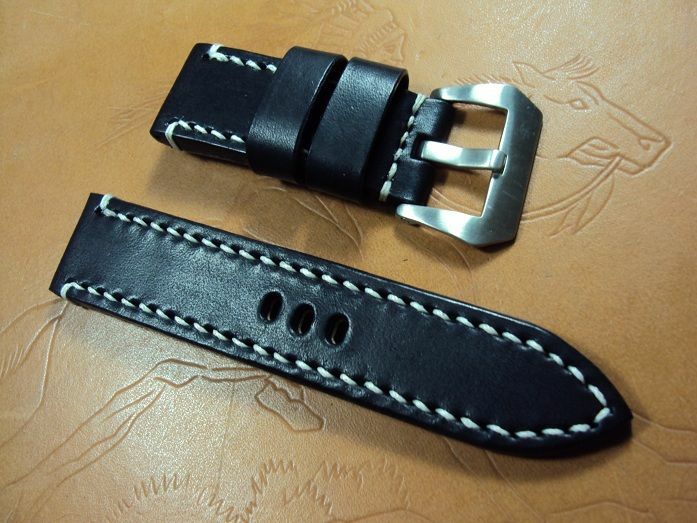 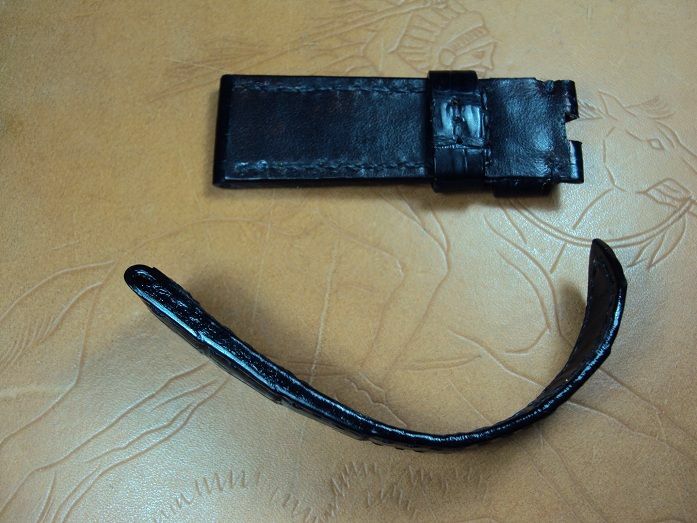 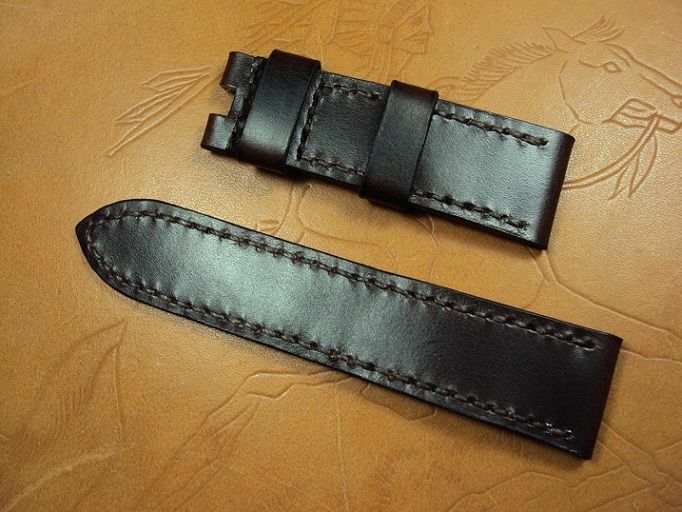 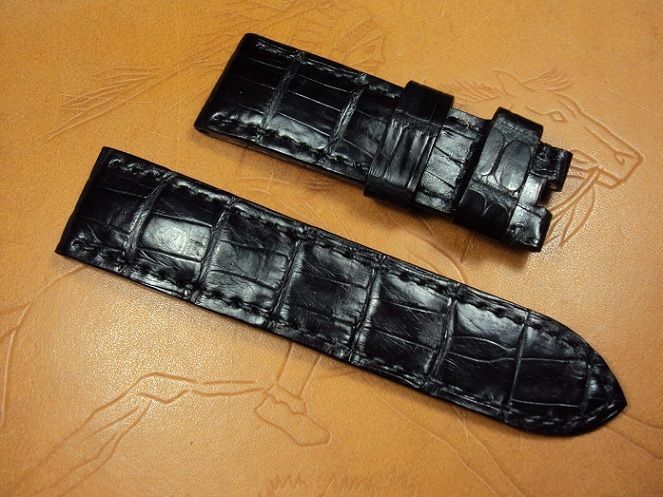 A2170 Panerai padded black crocodile deployant clasp strap, 24x22mm, 75x115mm, thick 5.0mm taper to 1.8mm, black stitch. 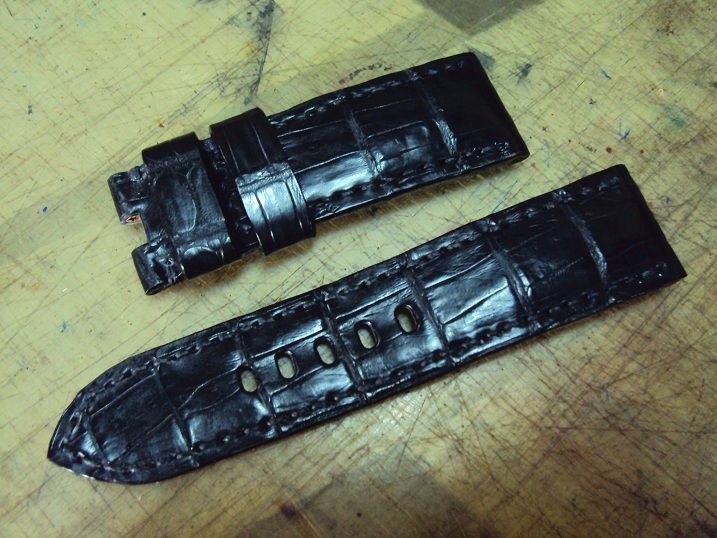 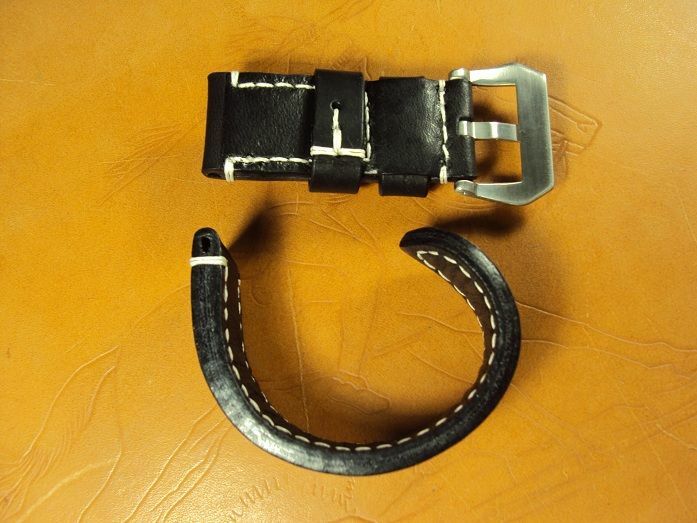 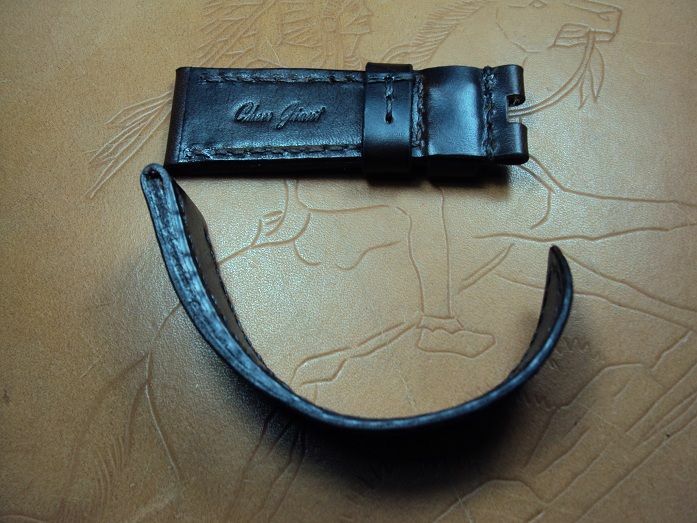 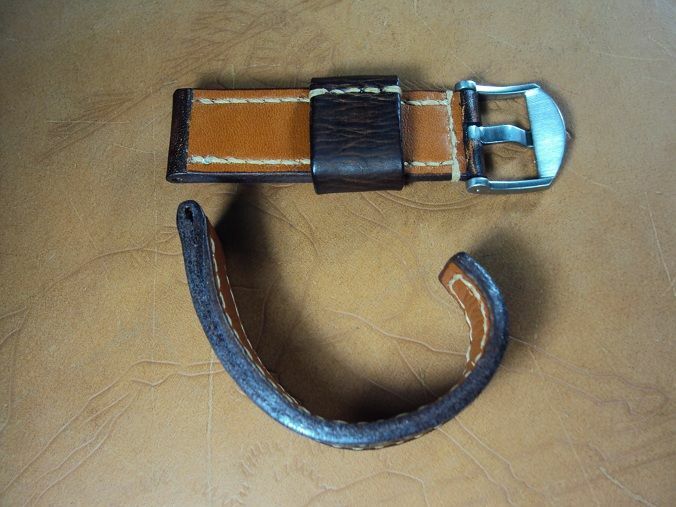 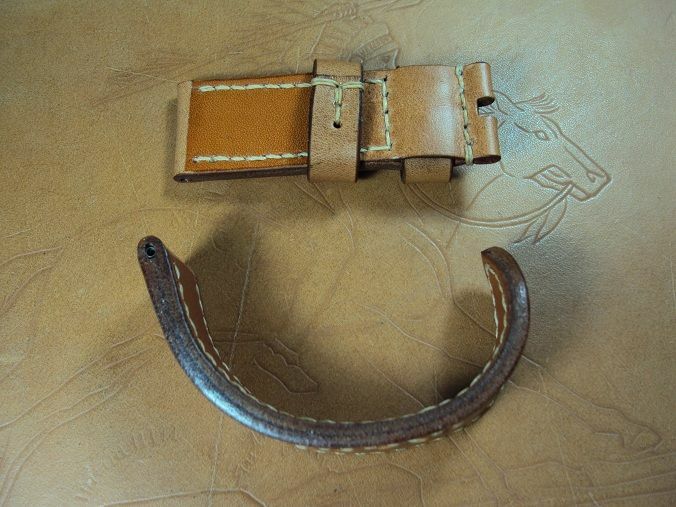 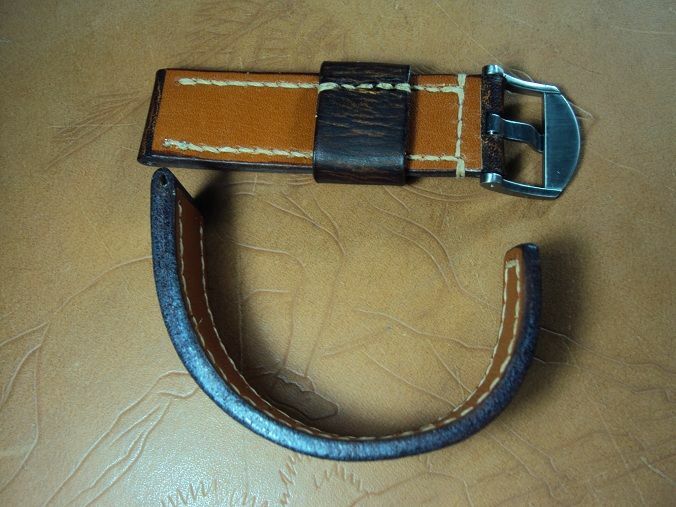 The padded crocodile strap is a particularly difficult leather product. 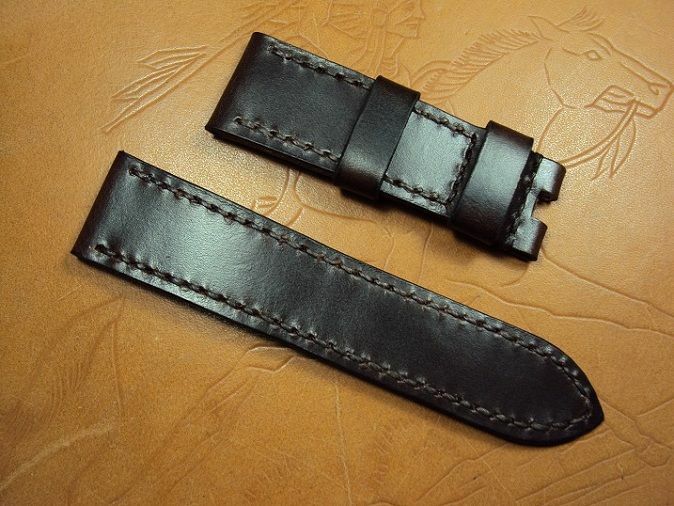 A2171 Panerai deployant clasp ultrasoft dark brown vintage leather strap, 24x22mm, 75x115mm, thick 5.0mm taper to 1.8mm, match stitch. 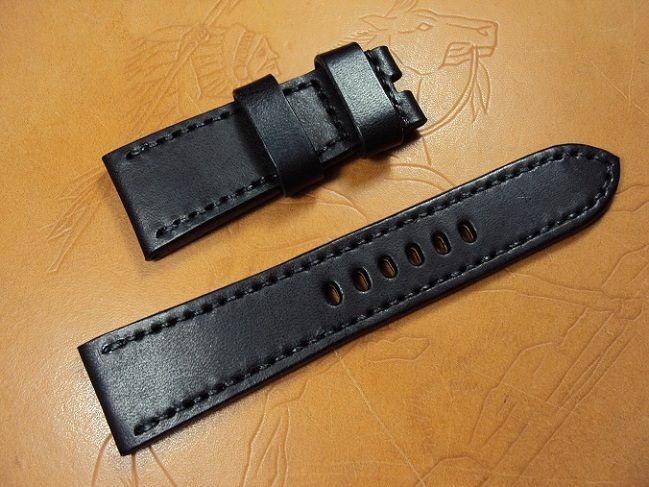 A2172 Panerai ultrasoft black vintage leather strap, 26x22mm, 75x135mm, thick 5.0mm taper to 4.0mm, black stitch. 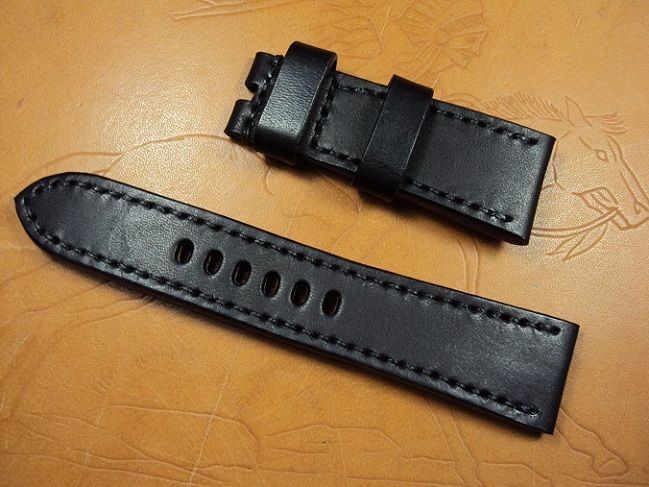 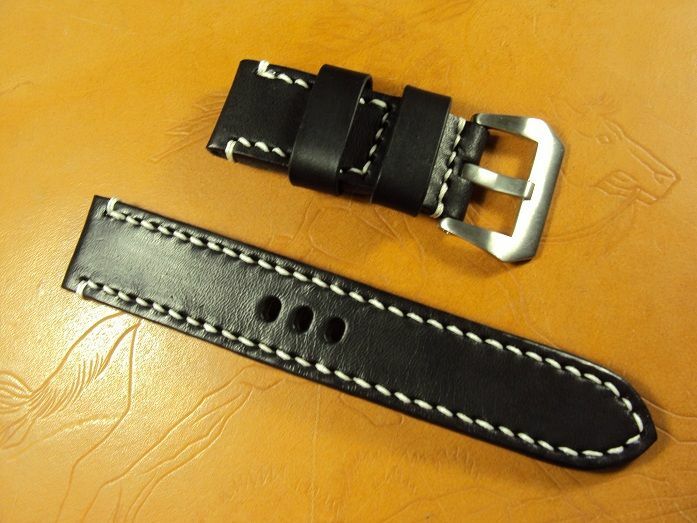 A2173 Panerai ultrasoft black vintage leather strap, 24x24mm, 65x120mm, thick 6.0mm taper to 4.7mm, white stitch. 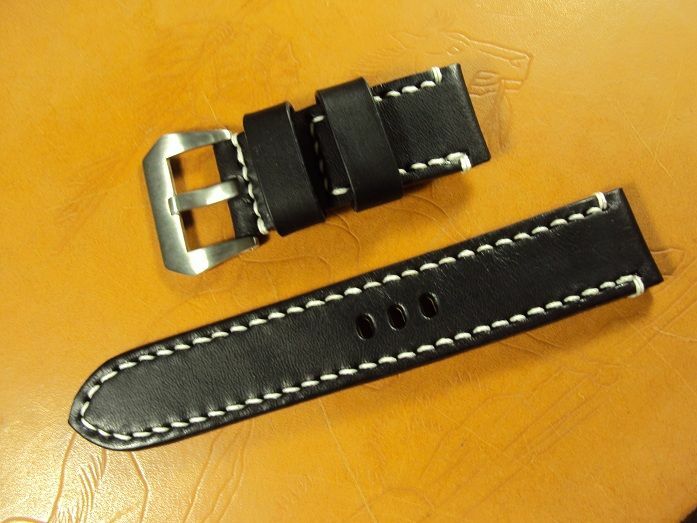 A2174 Panerai ultrasoft black vintage leather strap, 24x24mm, 65x140mm, thick 6.0mm taper to 4.7mm, white stitch.